Allium Ursinum, otherwise known as Wild Garlic, is a superb British woon naturalising plant that produces a carpet of wild flowers from mid-late spring through to early summer. 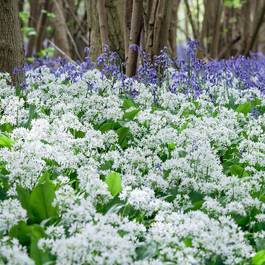 It thrives in shade or semi-shaded areas and will naturalise if left undisturbed. 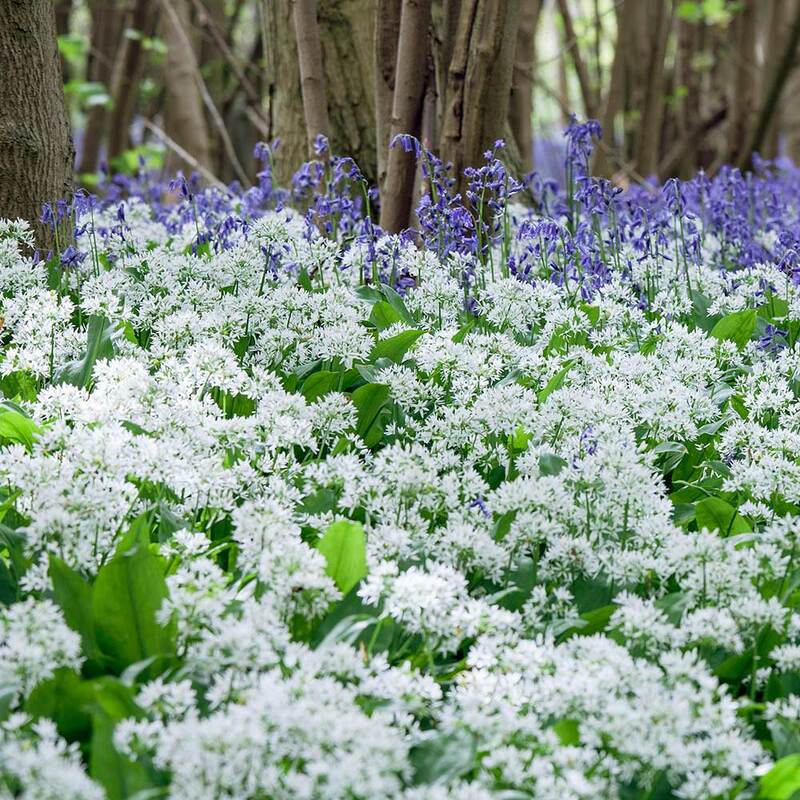 The leaves, flowers and bulbs of this variety are all edible. Height 30cm. Flowers April to June. Top grade bulbs supplied. Plant in fertile well drained soil at approx 10cm-15cm apart and at a depth of roughly 3 to 4 times the size of the bulb. 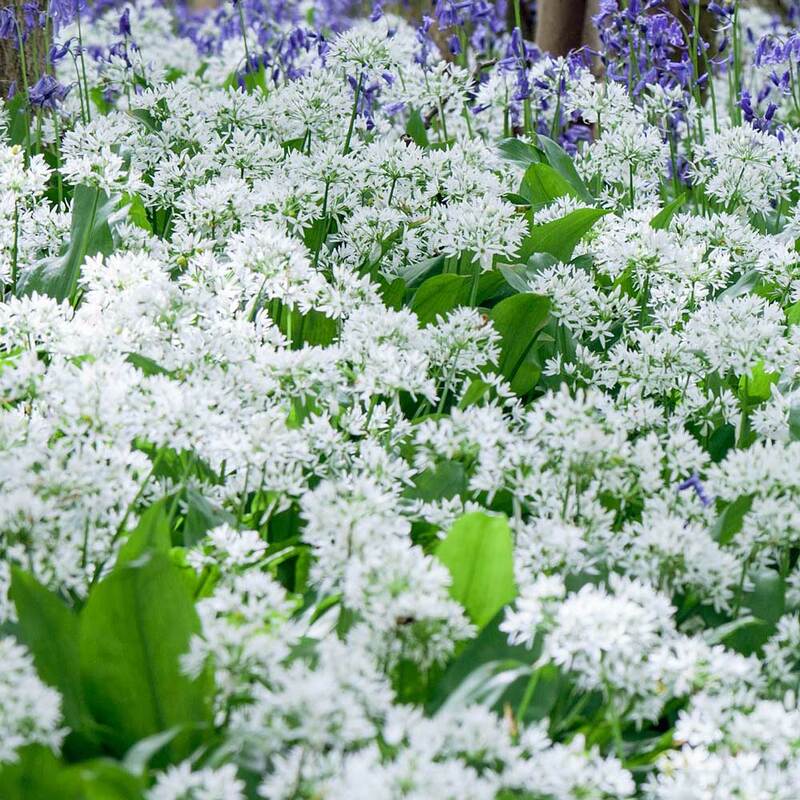 Leave untouched for a number of years until the bulbs have multiplied to the extent that flowering potential is impeded.